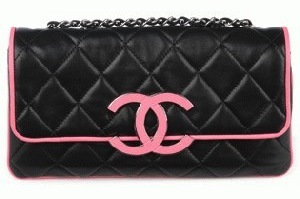 As a result of a lawsuit filed against the owners of 2ST BAG in a District Court of the United States of America, the Court ruled against the online bag shop for selling replica Chanel handbags. The Court also ordered that 2ST BAG be shut down. For genuine CHANEL, visit the official CHANEL website at www.CHANEL.com. CHANEL has made it a top priority to halt replica bag sales. Internet shopping, auction sites and any other sites are being continuously monitored and addressed by CHANEL. As necessary and appropriate, legal action is initated, including but not limited to both civil lawsuits and criminal complaints against identified replica sellers. Those considering the purchase of replica bags are strongly urged to recognize that buying handbag replicas supports criminal activity, and secondly, to refuse to participate in the buying and wearing of knockoff handbags. Replica bag sellers are alerted to note that CHANEL is being kept apprised of replica activities online, and additionally, to refrain from pursuing such illegal activities. Legal action is being taken where deemed appropriate.